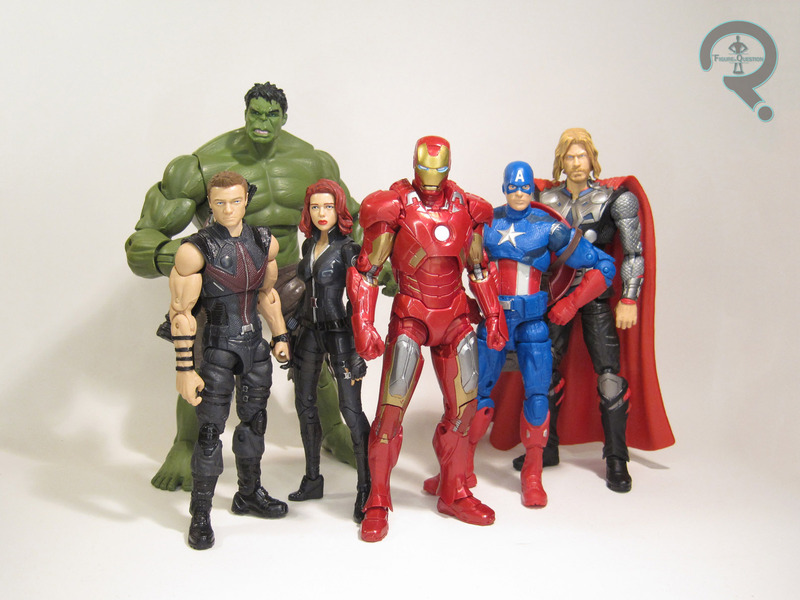 Despite the movie’s immense financial success, the tie-in action figures for Avengers were rather understated. The poor sales of toys for Captain America and Thor, as well as the general lingering of Iron Man 2’s later assortments, meant that retailers weren’t really jumping all-in for line-ups featuring many of those same characters. Mass retail only wanted smaller-assortment, smaller-scale figures, but Hasbro was able to sell Walmart on an exclusive run of Legends scale figures for the movie. 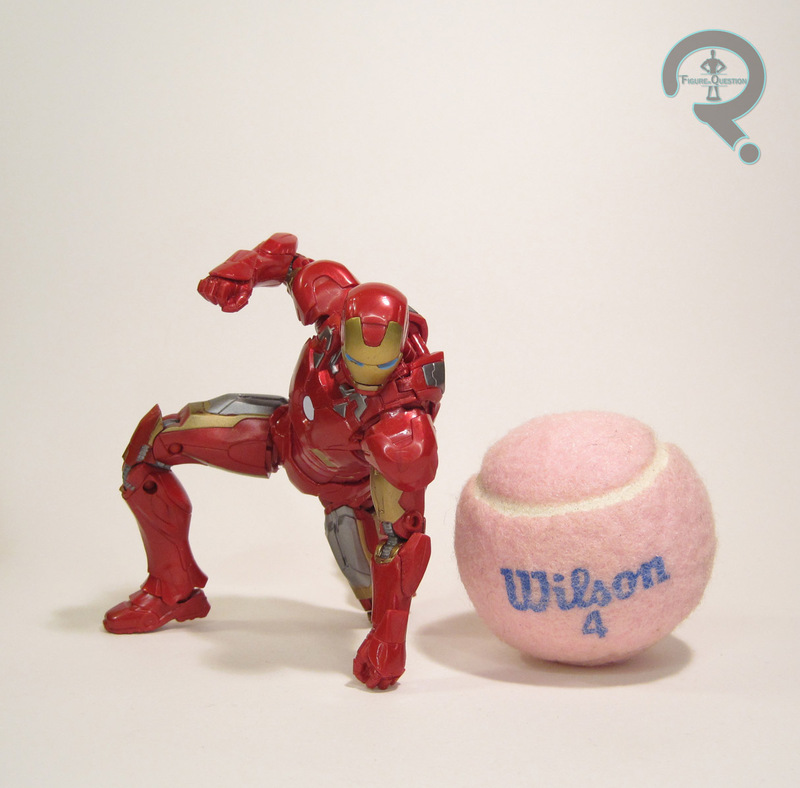 Of course, this exclusive run meant there were some cutbacks, such as everyone’s favorite armored avenger being stuck with a re-pack of his Mark VI armor from Iron Man 2, rather than the Mark VII armor that more appropriately fit the line-up. Fortunately, Hasbro took the tenth anniversary of the MCU to amend this issue. 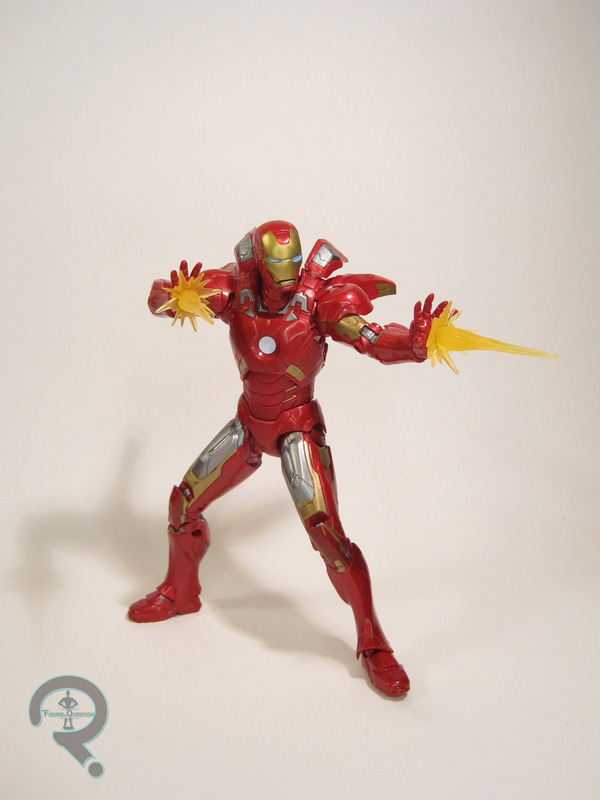 The Mark VII Iron Man is entry 3 in Hasbro’s Marvel Studios: The First Ten Years sub-line of Marvel Legends. He is the final of the three single-packed offerings from the line, following the previously reviewed Red Skull and Ronan the Accuser. This is, of course, Tony’s Mark VII armor, which he sports during the proper assemblage of the Avengers during the film’s big climactic battle. The figure stands 6 1/2 inches tall and has 37 points of articulation. Not only does this figure have the most articulation of any of the movie Iron Men, it’s also implemented in the most workable fashion here, meaning that the Mark VII is hands down the most posable MCU incarnation of Iron Man in the Legends line-up. Though it takes a little bit of cheating, you can also get his signature three-point landing out of this figure, which ended up being one of its selling points for me. What’s more, you can even move all of the flaps on his back, and his head can almost look straight up. We saw a lot of improvements in this direction fro both the Mark 46 and Mark 50 releases, but this guy really seems to take everything they’ve learned and even further build on that. Obviously, with all of this improved articulation, you kind of need an all-new sculpt, and this one’s a very good one. Thanks to a much-delayed release, Hasbro was able to actually make the figure as faithful to the film as possible, and they’ve generally succeeded. There are still a few little details here and there, but he’s very, very close. The biggest plus for me is that, unlike the IM2/IM3 armors, this one is actually properly scaled with the rest of the MCU Legends, and can conceivably be an actual guy in a suit of armor. The paint work for the Mark VII is solid, and again, one of the strongest entries we’ve seen for an MCU Tony. The metallic red plastic works very well, being neither too bright or too dark, and the rest of the application is pretty clean. There’s a slight scuff on my figure’s right leg, but he’s otherwise pretty good. The Mark VII is packed with a second set of hands, this time in the repulser blast pose (which, sadly, continue the tend of not having the same articulation as the fists), as well as the now-standard blast-effect pieces, this time in a transparent yellow. I was a little saddened that there was no unmasked head this time, which is about the only major complaint I can lobby against this figure. My disappointment with the Mark 50, combined with my prioritizing of the other figures in the Marvel Studios set, meant that I passed this figure up a great many times. I guess I just didn’t think too much of him. It was actually Super Awesome Fiancee who brought him home for me from her work, at which point I was able to re-examine him in-hand, and realize I’d been totally wrong about this guy. There’s a lot to like here. He’s the best MCU Iron Man on the market, and the easiest one to find at that. I whole-heartedly recommend him!